The topic of Advair and pregnancy is a fervent one. Although the use of Advair is strongly discouraged for pregnant women, the negative effects associated with Advair and pregnancies is still widely unknown. That being said, based on what is known with Advair and pregnancy, consuming the medication while pregnant could potentially damage the developing fetus. During several animal studies, it was revealed that Advair caused significant birth defects and increased the chances of miscarriage when given to pregnant mice. While your doctor or healthcare provider may prescribe Advair to a pregnant woman, he or she should only do so after weighing the options and the benefits of combatting the medical condition against the risks posed on the unborn child. Advair and Pregnancy: Is Advair Safe During Pregnancy? When looking at Advair pregnancies, one must understand the side effects associated with the two drugs (fluticasone and salmeterol) that make-up Advair. 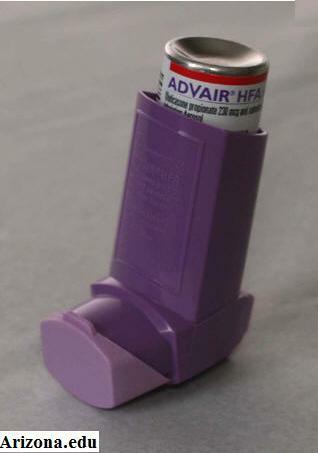 As a combination drug, that is inhaled daily, it is assumed that Advair is not a risk-free situation. Although there is no clinical evidence to suggest Advair pregnancy is dangerous, based on the results of the aforementioned animal studies, it can be stated that using Advair during a pregnancy is not safe. The United States Food and Drug Administration utilizes a pregnancy category system to classify the possible risks associated with a fetus when specific medicines are taken during pregnancy. Currently, Advair pregnancy is listed under Category C, which is applied to medications that have not been studied in pregnant human beings, but do appear to dispose damage or cause harm to the unborn fetus in animal studies. Moreover, medications that have yet to be studied in pregnant animals or women automatically receive a C-rating. Advair was given a Category C rating because of the damaging side effects observed in animal studies. When given to pregnant mice, Advair caused birth defects including bone problems and cleft palates. Moreover, the drug, when administered to pregnant mice, greatly increased the risk of miscarriage. With the above information taken into account, it must be noted that animals do not always respond to medications in the same way that a human being does. A pregnancy category C medication may be given to a pregnant human being if their respective healthcare provider believes that the benefits of the drug outweigh the projected risks disposed on the fetus. Because medications like Advair are effective in combatting respiratory conditions, such as asthma, a healthcare provider will often recommend that women continue Advair and pregnancy. If you’re currently taking Advair and become pregnant you must immediately let your medical professional know. Your healthcare provider will consider both the risks of taking Advair during pregnancy and the benefits of the drug’s respiratory solving abilities before affirming a recommendation for your particular situation.